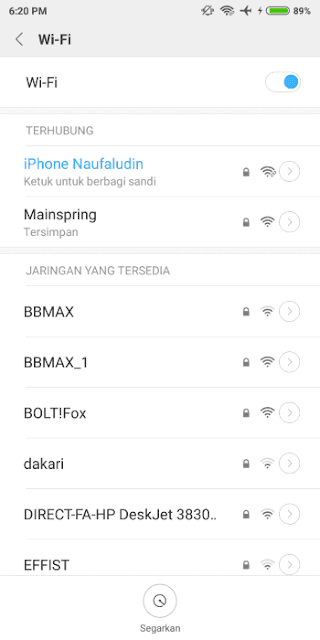 How to know the WiFi password on Android, serves to bring back WiFi password data that you have connected before. 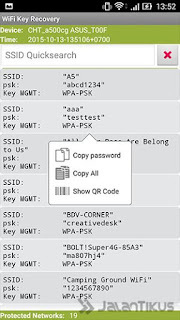 Have you ever experienced a WiFi password forget when you want to connect another device to the same WiFi hotspot? Or want to see WiFi password at your friend's house? Well if so, it looks like you should try the following method. This time we will tell you how to know the WiFi password on Android to bring back WiFi password data that you have connected before. 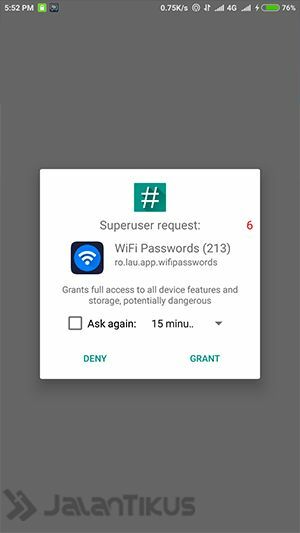 You need to know, WiFi password that will be discussed in the following article is a WiFi password that is stored on your Android, and you have not forgotten about WiFi or forget. 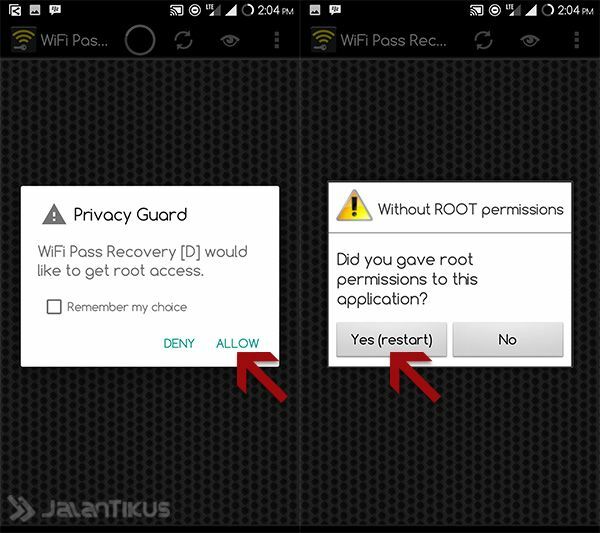 Before entering the steps to find out the WiFi password on Android, make sure your Android is in root. 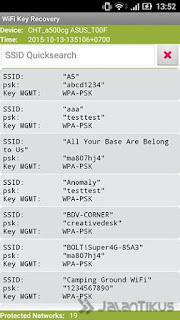 Download the WiFi Passwords [ROOT] application and install it as usual on your Android. 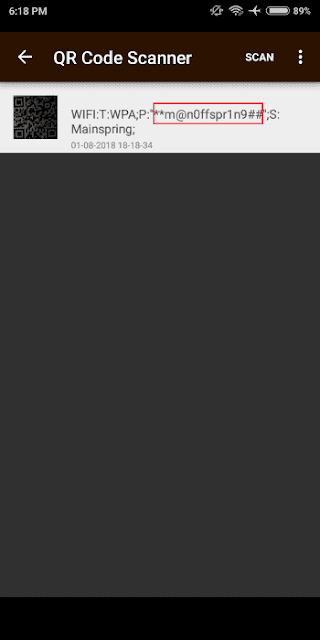 If the application requests Root Access, click the Grant menu. 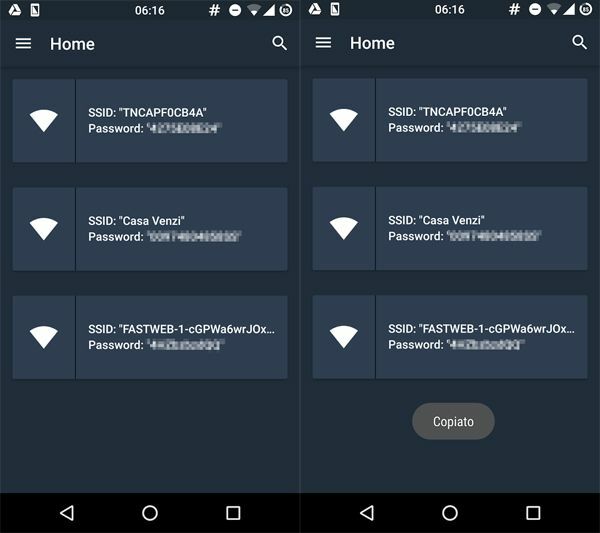 Wait a moment and automatically all WiFi passwords stored on your Android will appear. 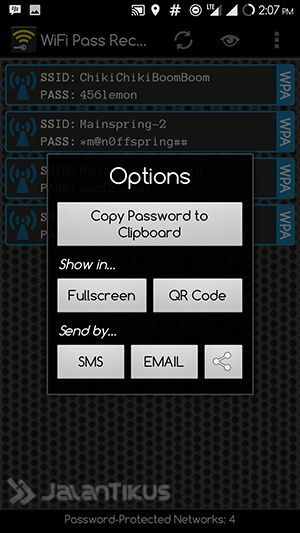 How easy is it to see and know the WiFi password with this application? Requirements, your smartphone must be rooted first! 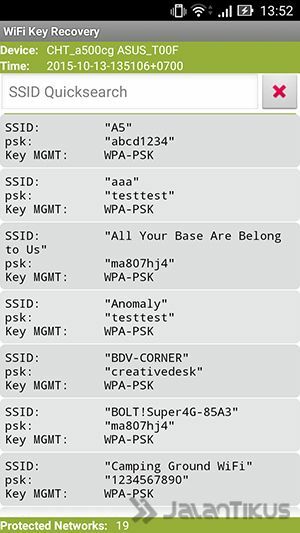 Download the WiFi Password Viewer (Root) application and install it as usual on your Android. Download WiFi Key Recovery then install as usual on your Android. 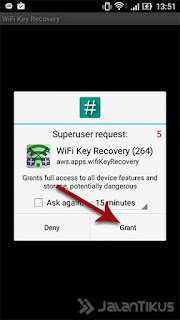 Open WiFi Key Recovery, when SuperSU pop-up appears click the Grant button. If so, the WiFi Key Recovery application will automatically display all WiFi passwords stored on Android. 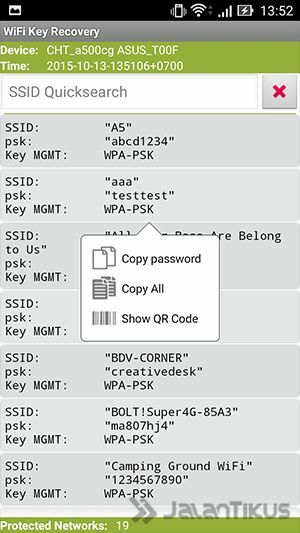 This application also provides the Android WiFi password Copy feature. 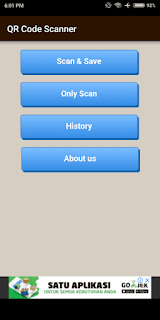 Download FREE WiFi Password Recovery and install as usual on your Android smartphone. Make sure you give root access to this application. After being given root access, automatically FREE WiFi Password Recovery will display a WiFi list that has been connected to your Android. To see the WiFi password, you can click the View button. Automatically WiFi password will appear. 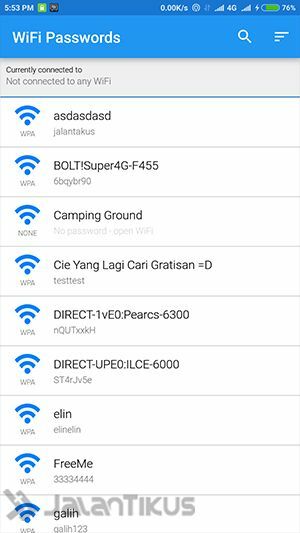 WiFi passwords that you have successfully displayed can also be shared with others. Then just borrow your friend's handphone and select the Wi-Fi that is connected to your mobile and select 'tap to share'. 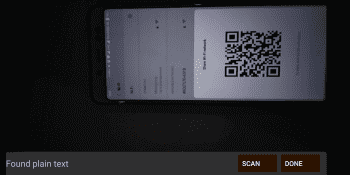 Now you just scan the barcode that appears from your friend's cellphone. After the barcode has been photographed, select 'Done'. Finished! 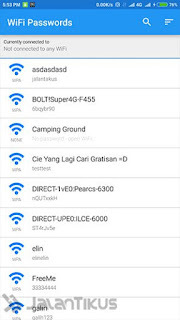 A Wi-Fi password will appear and you just need to enter the password to connect the Wi-Fi that is connected to your friend. Wi-Fi password will appear after quotation marks from information that has been successfully raised from the scan. See the example below. 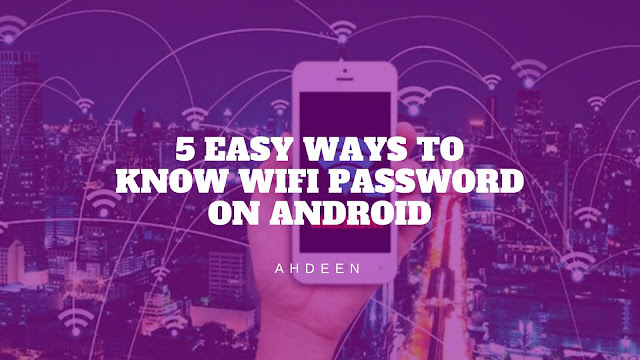 Hopefully the 5 ways to find WiFi passwords on Android above are useful for connecting WiFi passwords on Android, if you lose or forget your WiFi password, do the above method.